Reno Omokri, a former aide to ex-president Muhammadu Buhari, has accused President Muhammadu Buhari of plagiarizing his campaign agenda and logo: â€œNext Levelâ€. According to him, the President and his campaign organization â€œstoleâ€ the logo from a thesis authored by Kelly Costner, an Associate Professor of Winthrop University in South Carolina, USA. 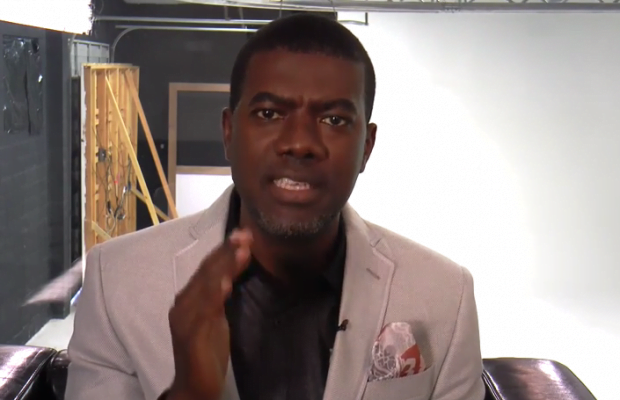 Omokri, in a statement on Tuesday, said, â€œMy attention has been drawn to the fact that the Muhammadu Buhari Campaign Organization has been established to have plagiarized their campaign agenda and logo titled Next Level, from a thesis authored by on Kelly Costner, an Associate Professor of Winthrop University in South Carolina, USA. â€œEven though Nigerians already associate the Buhari administration with plagiarism and lack of originality ever since they plagiarized a speech by the legendary French leader, Charles de Gaulle (â€˜I belong to everybody and I belong to nobodyâ€™), it still comes as a shock to us that the All Progressives Congress would be so brazen as to steal the intellectual property of an institution and pass it off as its own. â€œThis act clearly shows that the entire Next Level document is built on a lie and Nigerians are warned that the Buhari government has no Next Level plans. Rather, they only have copy and paste plans! This administration had three and a half years to prepare for their second term campaigns. â€œIt is sad that after almost three years of taking Nigeria in the wrong direction, the Muhammadu Buhari led government has no future plans and hurriedly packaged lies and deceit as its plans. â€œThis latest dishonest behaviour is the most recent episode of a pattern of dishonest behaviour that included arranging a fake Martin Luther King Jr. award to be bestowed on President Buhari at the Presidential Villa, announcing a fake Air Nigeria and plagiarizing the logo, and most embarrassing of all, lifting the â€˜Change Begins With Meâ€™ speech almost word for word from a speech by former US President, Barack Obama. â€œNigerians are invited to contrast the stolen â€˜plansâ€™ of the Buhari Campaign with the Atiku Plan which is original, workable and will Get Nigeria Working Again. â€œFormer Vice President Atiku Abubakarâ€™s plans are the brainchild of a man who has succeeded in his private business. A man who has a plan to restructure Nigeria. â€œA man who has a plan to proactively double the size of our Gross Domestic Product. A man who has a plan to provide Nigeriaâ€™s youth with a world class education (as he has successfully done in his private schools). And a man who has a plan to reduce maternal mortality to the barest minimum. â€œHard work brought Atiku Abubakar Jada to Lagos in the early 60s. Smart work helped him succeed in both public and private business. By a combination of hard work and smart work, Atiku Abubakar will achieve for Nigeria what God helped him achieve for himself.